If you’re an early-stage entrepreneur, technology has served you well. The barriers to entry when it comes to launching a company require less tension and a lot less capital. In fact, for the most part, all you need is a laptop and Wi-Fi connection. Still though, when founders are seeking funding, “75 percent of the venture capital goes to three states: Massachusetts, New York, and California,” said Steve Case in an interview with Recode. Fortunately, the Startup of the Year program aims to make it easier for founders to connect with resources. In 2006, a passion to help startups grew into Tech Cocktail, a company whose mission was to showcased burgeoning companies in bars around the country. This movement eventually evolved into the Startup of the Year program, which continues to discover emerging startups in communities around the globe and strives for diversity and inclusion. Today, the program has a number of game-changing companies among its alumni, including Uber, Groupon, GrubHub, Living Social, Desk, and many more. The thing that fuels this success is the amazing organizations and people from around the world who align and support the mission to build businesses. 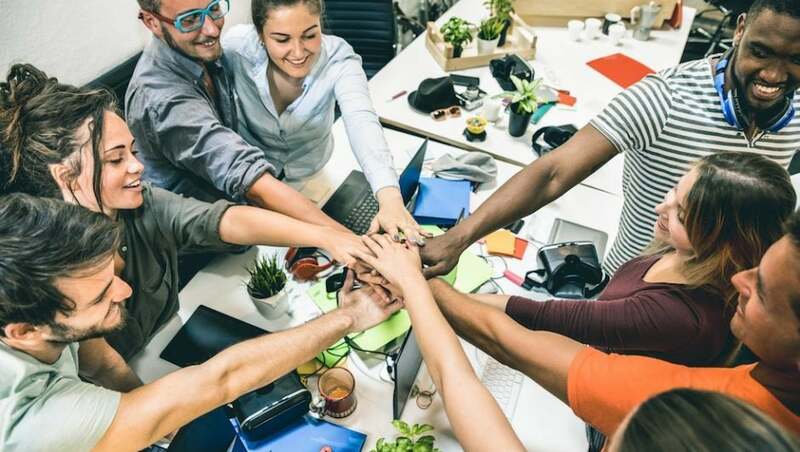 These organizations work tirelessly in guiding and supporting startup teams to success, regardless of their stage of business, as well as continue to encourage innovation across the planet. Meet some of the amazing organizations that partner with the Startup of the Year program, and could be a valuable resource for you to help build your business. BlackTech Week was created in 2014, and in four short years, they’ve gained over 2700 participants, 150 speakers, and 3 pitch competitions. BlackTech Week was created by the leadership team from Code Fever to accelerate and support the innovation of black communities through training, networks and funding. “I was very excited by how inclusion was such a priority in the space, Startup of the Year wanted to work with us to make sure the event reflected our community,” said Denayja Reese, Partnerships and Production Manager of BlackTech Week. The Case Foundation invests in people and ideas that can change the world. The Foundation was created in 1997 by tech pioneers, Jean and Steve Case. They believe being fearless in one’s mission is a must in addressing urgent social challenges. With a focus on impact investing, their efforts to drive social change are based on three key pillars: revolutionizing philanthropy, unleashing entrepreneurs and igniting civic engagement. Watch our video series at SXSW 2018 with The Case Foundation. Founded in 2013, digitalundivided leads high potential Black and Latino women founders through the startup pipeline with a focus on knowledge, research and community. In five short years, they’ve helped build 52 companies, raised 25 million in investments and reached over 2000 founders. “[It] is super competitive and great for companies looking to not only gain exposure but to learn from and see the breath of other startups and founders in the space,” said Darlene Gillard, Director of Community and Partner of digitalundivided, about the Startup of the Year competition. GFMEDC accelerates job and wealth creation in parts of North Dakota and Minnesota. The nonprofit creates pathways of collaboration between public and private sectors and continues to strategically create jobs and attract new businesses with an emphasis on the entrepreneurial ecosystem. “Having the pitches and showcase as part of the conference is a nice feature for the startups, so the whole thing isn’t just about the pitch. Our local startups have always been able to make some great connections at Innovate Celebrate,” said John Machacek, SVP Finance and Entrepreneurial Development of GFMEDC, about the Startup of the Year program. Indiegogo has brought more than 800,000 ideas to fruition since 2008. Indiegogo is a platform for ground breaking technology and where you can find interesting products that haven’t hit the mainstream market. There are more than nine million backers on Indiegogo that engage and support entrepreneurs in over 19,000 campaigns on the platform each month. They created a space where you can follow your dreams. This crowdfunding platform has a goal to empower women-led startups to grow better businesses. Their mission is designed to lead with a pay-if-forward model by providing expert coaching, pitch competition support, and a private community where entrepreneurs can meet mentors and connect with valuable resources. “Driving funding to early-stage startups and small businesses is what we do here and being a part of the Startup of the Year Competition was a no-brainer for us. While winning pitch competitions is great, it’s not the most important thing about Startup of the Year. The experience of pitching your product, and networking with your fellow entrepreneurs is,” said Karen Cahn, Founder and CEO of iFundWomen. Ewing Marion Kauffman built a legacy that was fueled by his passion for being an entrepreneur and humanitarian. His innovation benefited millions of people in his hometown of Kansas City and he wanted his legacy to continue on to support his community and economy. The Kauffman Foundation centers their work around programs for entrepreneurs and educational programs aimed at students from pre-kindergarten through college. “All of the money in the world cannot solve problems unless we work together,” said Ewing Marion Kauffman. Pipeline Angels mantra is “Changing the face of angel investing,” and they accomplish that by creating capital giving and receiving opportunities for women and non-binary femme social entrepreneurs. Their investor bootcamps help educate new investors about due diligence, valuation, and more. And their pitch summits connect those investors with women and non-binary femme entrepreneurs with for-profit, social startups. “Startup of the Year’s website underscores why it made sense for Pipeline Angels to support this initiative. We believe that innovation is taking place everywhere, all of the time,” said Lisha Bell, Dealflow Lead of Pipeline Angels. They continue to grow their network, and will soon offer their signature angel investing bootcamp in San Juan, Puerto Rico to support the island’s founders and economy. 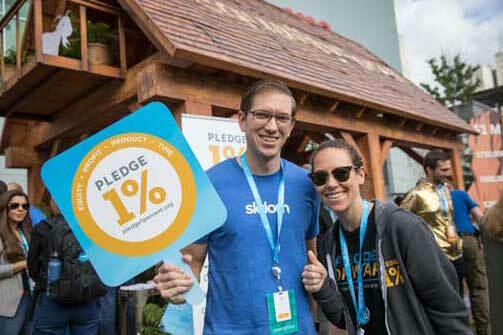 While some organizations are focused on geography, gender or specific verticals, Pledge 1% brings together companies who understand the importance of philanthropy, and assists them in making it part of the company culture, even at its earliest stages. Thousands of entrepreneurs from around the world are part of the growing Pledge 1% network, and you can too! With accelerator programs for IoT, smart home services, and female founders, Start Co built an impactful organization in the Southeast. They also align with companies such as Amazon web services, IBM, and many others. In addition, they offer a Sky High program that provides curriculum and resources to K-12 students who build IT solutions, as well as Upstart, an accelerator for female founders who want to enter the world of entrepreneurship. “Startup of the Year aligns with our belief that great startups can be built in middle America, and competitive startups should not be limited to a geographic area. The Startup of the Year competition creates opportunities for our team to connect with peers across the country, by sharing successes, opportunities for growth, and ways to better collaborate,” said Eric Mathews, CEO, and Andre Fowlkes, President of Start Co.
Startup Champions Network is committed to building a strong network of ecosystem builders from every state around the nation. They understand the value of connecting people, resources and events to each of their communities. Startup Champions Network has created a strong constellation of forward thinking leaders to serve entrepreneurs everywhere. THE SANDBOX is a coworking space that comes with its own Airstream conference room. The creativity is pumping through the vents when you walk through the door and filled with upcoming startups. It is also the headquarters for StartupSB which drives a myriad of events for the local community. “We continue to look for opportunities for Santa Barbara area startups outside of our region. The Startup of the Year competition provided a platform for some of our local companies to get recognized in a larger market and connect with potential partners, investors and more talent for their ventures. The collection of startups from around the US and world last year was impressive and incredibly diverse,” said Kyle Ashby, Founder of THE SANDBOX and StartupSB. Tampa Bay Wave is a leading tech accelerator in the southeast, that supported over 150 tech startups and 250 entrepreneurs, and a proud member of the Global Accelerator Network. Their coworking space is designed to help tech companies of all sizes, and they recently launched a Tech Diversity Accelerator program with the Nielsen Foundation. “Having a chance to learn about the Startup of the Year program from heads of the organization as well as from the competing startups made me realize just how much of an impact it could have on companies and local tech ecosystems,” said Dr. Richard Munassi MD MBA, Tech Diversity Cohort Director, of Tampa Bay Wave. While this is just a sampling of these amazing organizations that partner with the Startup of the Year program, these people help us create the most diverse and largest crowdsourced startup competition in the world. Founders! We invite you to join us for the excitement, visibility and connections at the Startup of the Year Competition and meet our partners! APPLY HERE TODAY! DEADLINE IS MAY 31! We’d like to thank our community partners and others who have been an inspiration and made an impact on our Startup of the Year teams, including: Mass Challenge, TechStars, Rise of the Rest, LAUNCH KC, VATOR, THE DEC, LAUNCH DFW, ENGINE, MeetROI.Com, 1804, Bunker Labs – Austin, Co-LABS, Startup Grind – Houston, GEN, CoVort and F6S. If you are an organization that connects with our mission, please reach out to the Startup of the Year team.